Formerly known as Center for Health Policy Studies, which has been set up since 1979, Center of Excellence in Research on Gender, Sexuality and Health (GSH) is established in 2019 to correspond to the current movement for research based on gender and sexuality perspectives into health issues, especially sexual and reproductive health. Its concept is initiated with the aim of creating a new paradigm that places a higher emphasis on sociocultural factors, not only medical and public health factors, upon taking account of causes to health problems. Applying an integrating concept based on gender and sexuality in carrying out a study into health issues, GSH aims at helping the public to attain their good health, sexual and reproductive health and rights, as well as the equity and justice they deserve. The institute also forms a collaboration with academicians, students, civil societies, and other sectors at local, national, regional, and international levels in order to raise the public awareness and provide knowledge about health problems, sexual and reproductive health and rights, as well as gender injustice and inequality. Furthermore, GSH continues to give significance to issues related with female youths (Sexual Orientation and Gender Identity – SOGI) and other vulnerable groups such as migrant population, etc.. Its goals also expand to conducting field research to build a profound understanding and knowledge in the issues related with sexual and reproductive health and rights, and developing a better methodology of study issues related with gender, sexuality, and health. 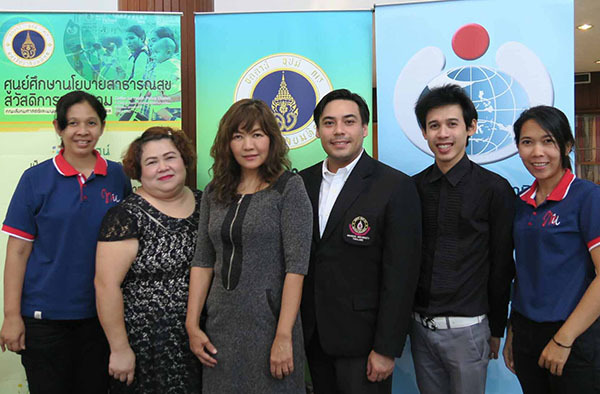 Based on knowledge obtained from research, GSH also aims at guiding the society through policies and activities at communal level in both Thailand and ASEAN countries to help them achieve their gender equality and justice. 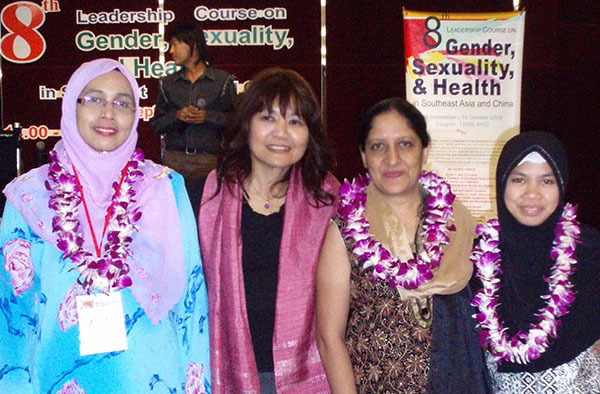 Become a leading organization at regional level with a key responsibility for developing research knowledge in gender, sexuality, and health that leads the societies to attain justice and good health. Develop knowledge from researches and academic services that supports gender justice and promotes social health at national and international level. Become an education center for training and cultivating new-generation researchers and students in the field of gender, sexuality, and health by providing them with workshops on research and scholarships . Build collaboration network with academic sectors and civil societies to conduct research and activities together to develop and promote sexual and reproductive health and overall health at local, national, and regional levels. Become a center for training and cultivating new-generation researchers and research assistants in the field of gender, sexuality, and health by providing them with research scholarships. Collaborate with related units to develop programs that urge students’ involvement in research process, and build professional personnel such as new-generation teachers, postdoctoral fellows, and etc. Create participatory practices in work system in the form of Community Advisory Board (CAB), which is a collaboration between academic sectors and civil society. This practice helps urge participation from community to the research process, build capacity for community researchers, return useful information to people in the community, and bring some changes to the society in the end. Sexual health and reproductive health. Gender-based violence in educational institutes and online space.